Home theater is a finicky beast. Do you go with a soundbar, or a full-on home theater system? How loud? How does the room in question impact the choice? How connected does the audio hardware need to be? And, usually most importantly, is the hardware worth the hundreds of dollars you're likely spending? I'd argue that choosing the audio components in your home theater system is harder than choosing the TV -- more variables, more choice, more uncertainty. Founded in 2002, Sonos has been in the home audio game for over 10 years now, with their its first amplifier/networking combo boxes hitting store shelves back in 2004. It's been quite the decade for the Santa Barbara-based audio wizards, as Sonos has become synonymous with high-end home audio. I've been using the Sonos Play:3 and Play:5 speakers in my apartment for a few years now, and I've yet to find a better way to pump streamed and/or locally stored audio throughout my humble abode. So when the Sonos Playbar and SUB came along, I was excited to see how the company was tackling home theater audio. 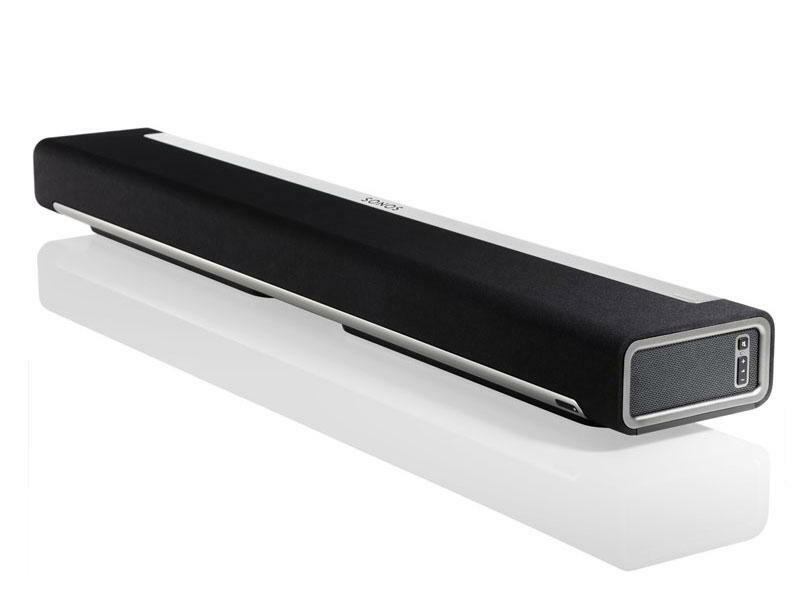 The Sonos Playbar exists in the same design landscape as the Play:3 and Play:5 speakers -- blacks and grays combining for a neutral, modern look and feel. Where the Play speakers have plastic housing combined with metal speaker grilles, the Playbar uses cloth to cover its nine speaker cones. It's a very clean yet powerful-looking soundbar, and the design is definitely a cut above the other soundbars you'll see at Best Buy or Target. Connectivity is largely wireless and app-based (more on that in a moment), so four connectors (power, two Ethernet, optical audio in) are complimented by only two physical buttons (mute, volume rocker). If your TV is wall mounted, the Playbar can play along, or it can sit in front of your TV on whatever shelf you're already using. At just over 35 inches, it's several inches shorter than my 50-inch Panasonic plasma TV, and the 3.35-inch height means it won't obstruct the view. It can obstruct remote functionality if you're sitting at a low angle, but I didn't run into this very often. Like everything in the Sonos ecosystem, the Playbar relies heavily on the Sonos app (free on iOS and Android), and of course your TV/home theater remote of choice. The app ties the Playbar into your network, although network connectivity is not required (in other words, you can use the Playbar as a soundbar, and only a soundbar, if you want to). Because I had other Sonos speakers on the network, I tied my Playbar in as well. 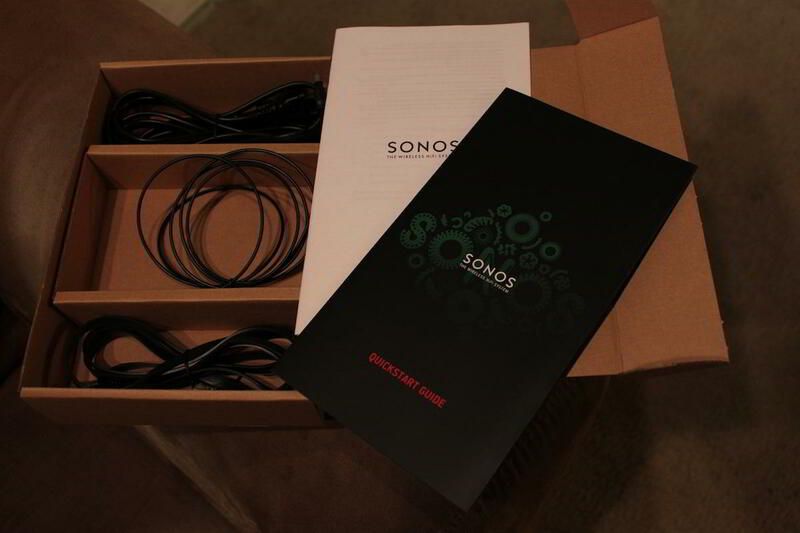 The Sonos Bridge keeps everything nice and wireless, although it's an optional accessory. If you want the Playbar or any other Sonos component on your network, you can go the Ethernet route as well. Setup is about as easy as you could ask for. The app guides you through the steps, taking three or four minutes at the most. 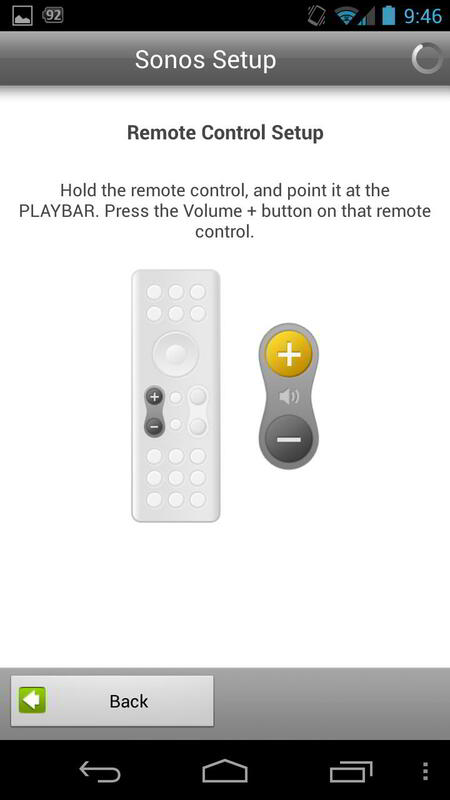 It even auto-programs your remote of choice to control the Playbar volume and mute functions. The digital optical audio input is your only choice, so your HDTV of choice needs to have a digital optical out. Once the app process is finished five minutes after you started, the Playbar is a no-muss, no-fuss speaker array. If you're connecting the Playbar to your network, you'll get all the perks afforded to other Sonos speakers as well. Via the Sonos app, you can stream music from any computer on your network, or you can pull music down from virtually any streaming service under the sun. Spotify, Pandora, Rdio, SiriusXM, and Beats Music are all supported, so long as you have an account with the services. Your playlists and favorites get pulled down, so there is zero loss in functionality. Even free Internet radio can be pulled down through TuneIn -- a particular favorite, as it lets me listen to Boston sports radio stations, despite living in Los Angeles. All of this functionality and service support makes the Playbar the ultimate music streaming home theater component.